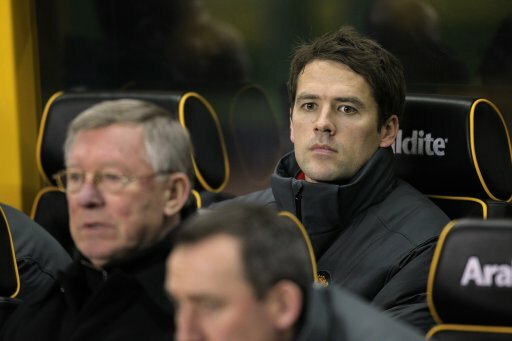 Pint-sized horse-lover Michael Owen has finally found himself a new team after spending the summer on the mooch for some football. Since leaving Man Utd, the 32-year-old striker had even been linked with a move back to Anfield. However, rather than get a chance to join Brendan Rodgers’ tiki-taka revolution on Merseyside, Owen has signed up for the far more prosaic tactics of Tony Pulis and co. at Stoke. The deal is for 12 months while he’ll get a decent salary as well as bonuses for any goals he gets. The free agent joins a Stoke squad which has been seriously strengthened in the transfer window with Jamie Ness, Geoff Cameron, Michael Kightly, Maurice Edu, Charlie Adam and Steven N’Zonzi all arriving during the summer. Owen hasn’t played a competitive game since last November and will forever be one kick away from yet another injury. However, if the goal-poaching imp can steer clear of injuries, he could turn out to be a shrewd signing by Pulis. Although, whether or not he’s suited to the hoofy Stoke style remains to be seen. Surely Mickey deserves one more shot at the big time? What’s this I hear about Stoke having already submitted their 25-man squad list, minus Owen? That’ll be a right old rofl if he can’t play due to that.